Welcome to the Förderverein Friends of Quentin Blake Europe School ! Quentin-Blake-Europe-School has its own newsletter in both English and German. Published bi-monthly by the Förderverein, it gives you all the information, news, and forthcoming dates you need, all in one place. To subscribe to the newsletter, read current announcements, order school clothes, and much more visit the Förderverein website. What is the Friends of Quentin-Blake-Europe-School e.V? 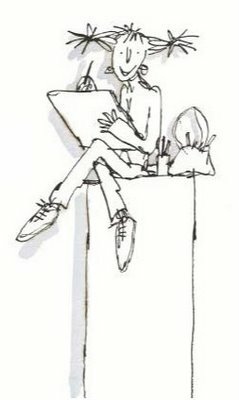 The aim of the Quentin Blake Association is to foster a multicultural community, emphasising and further promoting the use and better understanding of the English language. The Quenitn Blake Association was set up to finance native English speaking supervisors for recreational periods, as state funding was limited.